My name is Ryan “wwlos” McMurray, and I'm a long-time competitive Hearthstone player (accomplishments and accolades can be found on my twitch and twitter pages) starting to get heavily involved in The Elder Scrolls: Legends. My favorite stage of any card game is that of deck building. 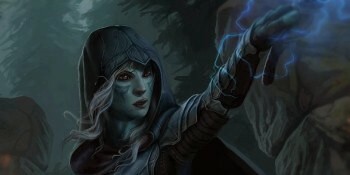 When a game is in its infancy like TESL is we are rewarded more than ever for finding all of the possible synergies and win-conditions and being some of the first to pioneer different archetypes. The deck you are going to be reading about shortly is by no means a definite future pillar of TESL, but I do believe we are far from being certain of all possible deck archetypes and tier interpretation of power when It comes to this game. The wwlos Turtle deck I will be showing today transitioned from Rank 1 to Legend #221 on the 8th of August. My first 25 games on the legend ladder scored an overall 20-5 80% win rate to rank 58 legend. While I have only played these 25 games on the legend ladder with this deck , I do believe it is fully capable of hitting Top 10 legend when I can accumulate more time to grind. Anyways, on to the deck itself, how it was created, and how it works. I want to start by guiding you through the creation process of the deck. I believe letting you into my mind and thought process behind cards will really help you understand the playstyle more, so here we go. I only build Control, so keep in mind I always knew that was what this deck was going to turn into. When I deck build I try and find 3-5 strong cards that can possibly synergize, and do my best to build around said cards to abuse the overall power level of the synergies into win percentage. Endurance (purple) seemed like an extremely powerful attribute for me, so I chose these 4 cards to start my deck off with. No downside, plain value card. Huge value ceiling ramp card, fit for most Control decks. I am a Control player, and at the deck’s peak a strong Handlock player and innovator in Hearthstone, so when I first saw this card I was in love. It is comparable to Ancient Watcher, a staple of classic Handlock. From what I could find, the card was only actually being used in a flood (token) variant of Spellsword, and this bae of a card deserved better. General Tullius – Guards and Floods for big swings from the Siege Catapult as well. Yew shield, Legion Shield, and Housecarl also heavily synergize with the other 3 cards we have built our deck around (Mammoth, Venomtongue, and Priest), as we can find more value in their over and undercosted bodies through different enhancements. From here we start to find an idea for our deck to be build around. We have big beefy minions that need to be dealt with in Endurance, Willpower also have big beefy minions that need to be dealt with, so let’s run with Spellsword. We simply include all of the on curve value willpower taunt cards like Hive Defender, Loyal Housecarl, Senche-Tiger, and Mantikora. Cheydinhal Sapper is another card that might raise eyebrows, but it’s another card with large health that can work with the buffs in the deck, and the Drain can often save games. Goldbrand is just a nice late game removal tool that fits the curve, and Nahagiiv, Miraak, and Odahviing are all really strong Control win conditions. While not the prettiest Magicka curve, we are often dropping nice big numbers each turn so we rarely feel to bad about Magicka floating. The only cycle in the deck is Enchanted Plate, simply because there is no other real form of Control cycle available to Spellsword. How do we win without more card draw? Well, if it’s a Control game we are often just out-valuing them so it doesn’t matter, but for Midrange and Aggro we draw cards through the breaking of our runes of course! This sounds weird, I know; the plan is to block damage so why are we okay taking damage? Welcome to TESL. There is a lot of hard removal so oftentimes all we are really doing with the big bodied taunts is stalling. You will often be playing really long games with this deck. Eventually though, you’ve just turtled so hard your opponent runs out of resources and has in turn given you too many resources in the form of runes. Again, if it’s a Control matchup we usually just win the value game so card draw is less important. As you see, the deck is built around long and honestly often close games. The value we have in the late game and our ability to get to the late game is what makes the deck something special. Just about all Midrange and Control decks, we just have a lot of value on top of our already strong late game win conditions. Some have voiced concern that Archer should be a bad matchup but I simply haven’t found it the case as it is inherently Midrange. We have the tools in Execute/Crushing blow to deal with the Recruits, and while Jarls and Marshals are usually getting their triggers considering our deck make up, they often find it hard to finish us off. Aggro Battlemage with late game burn to get past our big bodies is most definitely this deck’s Achilles’ heel, but luckily that deck isn’t as prevalent as it probably should be. Decks that go wide like the Token Spellsword can also cause issues, but if we are seeing a lot of these archetypes we can cut something like Goldbrand, Miraak, or Legion Shield for 2 Arrow Storms and a Dawn’s Wrath, or just 3 Arrow Storms depending on what exactly you are seeing. The deck is plain fun, and if you are a fan of fatigue turtle play, you should love the tools in the build. I loved theory-crafting and in turn taking this deck to awesome heights! I encourage all, while this game is still so deep in its infancy, to try and do something similar! All decks start from somewhere after all. Thanks for reading.